Tournament tested and the number #1 selling table in the world. Normally seen in arcades and movie theaters, now the Hot Flash is available to be delivered to your home. The only difference is you don't have to spend a dollar each time to play. 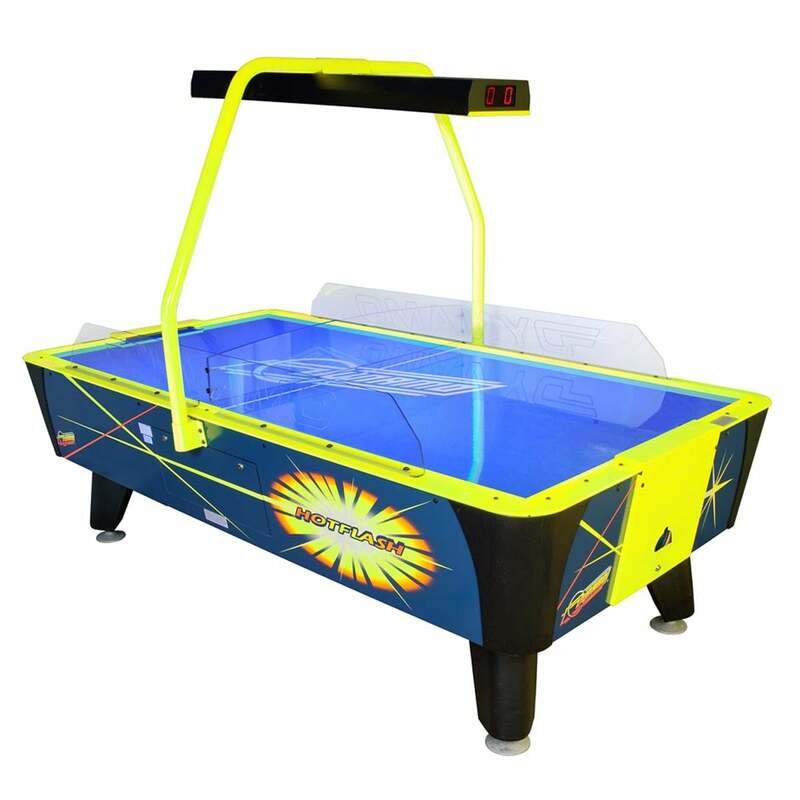 This commercial style air hockey table is ultra rugged, high powered and tons of fun. Metal construction, leg levelers and digital scorekeeper or just a few of the features that makes the Hot Flash so sought after. With performance like no other on the market, this game plays fast, so be ready to guard your goal, strike that puck and have the time of your life. Are you ready?